Self-consuming means consuming your own photovoltaic electricity production. Solar electricity now competes strongly with electricity from the grid: self-consuming therefore means saving on your energy bill. Random photovoltaic self-consumption, i.e. 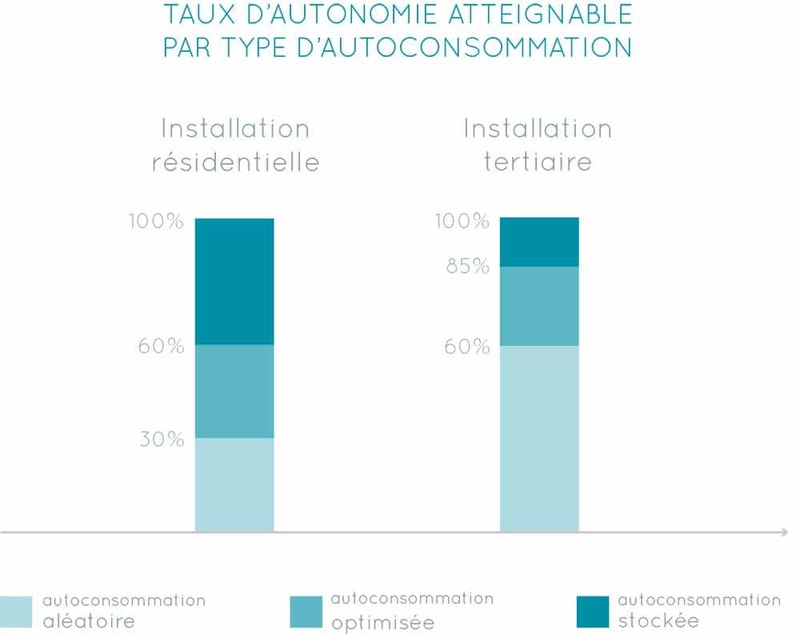 without special management of your consumption, can achieve maximum 30% autonomy (for a residential installation). When consuming your own solar energy production, the ideal situation is to match production perfectly to the instantaneous consumption. > Your consumption is momentarily lower than you production. The surplus electricity produced is then injected into the public distribution network. Self-consumption therefore requires precise and smart energy management. 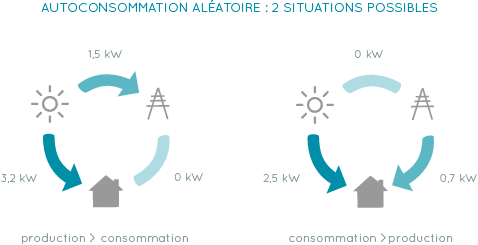 Optimised photovoltaic self-consumption controls these two imbalance scenarios to increase the efficiency of your electrical installation and make it more profitable. Optimised solar self-consumption can give you up to 50% autonomy (for a residential installation). 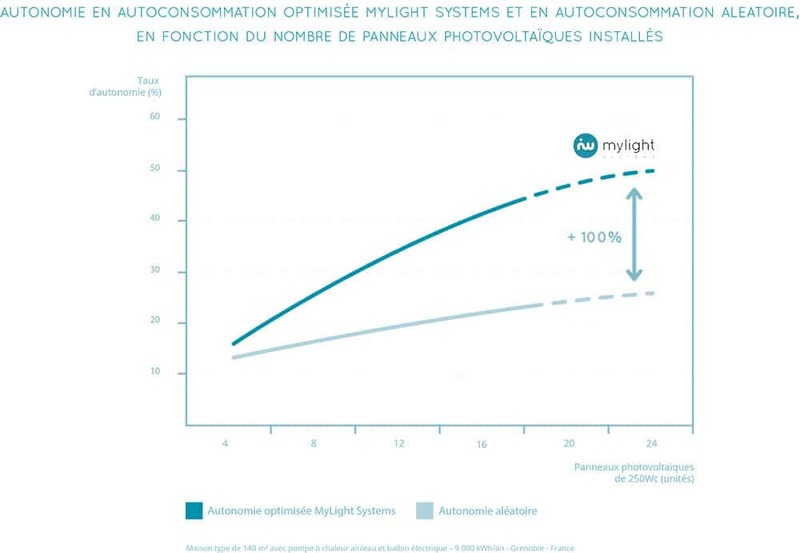 This is the type of photovoltaic self-consumption developed by MyLight Systems. Stored solar self-consumption incorporates a battery system and thus constantly increasing energy independence. This solution cannot be used to make savings as its cost requires substantial investment. Note that energy storage also demands management and optimisation. Battery charge and discharge cycles must be controlled to maximise battery lifetimes. The MyLight Systems team will therefore naturally include battery management as soon as they are profitable and accessible to all. Copyright © 2016 - Mentions légales - Tous droits réservés.